Was Dr. Glenn Koponen your professor at the Nyack College School of Music on the Rockland County campus? 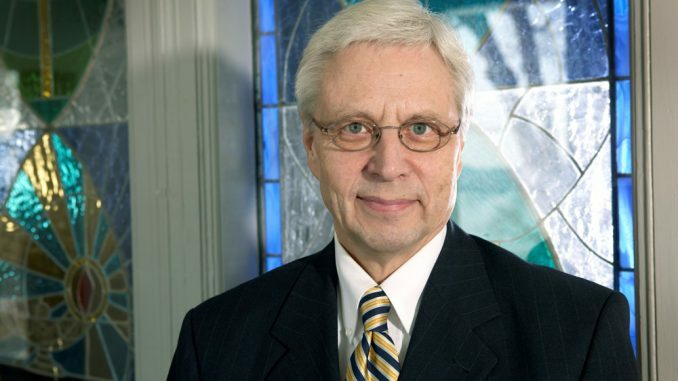 Have you had the privilege of being a colleague of this distinguished dean and professor? Were you a music lover in the audience at one of the wonderful concerts he conducted? Let him know how much you appreciated his 50 years of service to Nyack College and the School of Music as we prepare to celebrate his recent retirement! Send your greeting card or written sentiment to Manager of Advancement and Alumni Services Erica Videc by email to erica.videc@nyack.edu or by postal mail to Erica Videc, Nyack College, Office of College Relations, 1 South Blvd., Nyack, NY 10960.